Bikes 2012,Latest Bikes in India,Best Bikes World motorcycles Bikes in world 2012 - Know more on best bikes in world, the Best Bikes in world, Honda, Yamaha, Motorbikes and BMW, Harley Davidson, and mny more motorcycles of world. Get to know on latest Bikes and New Bikes. 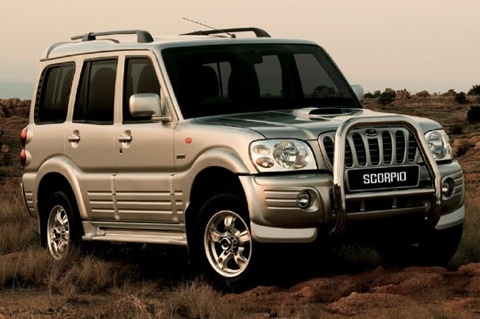 Your spanking new Scorpio's parked in the backyard, freshly washed, glinting in the sunlight and begging to be taken for a ride. You succumb to its entreaties, pick up the keys and jump in, a tune on your lips. you settle into the driver's seat, adjust the mirrors. slip your favourite CD into the audio system, turn up the engine settles into a steady idle' you engage first and you're off. 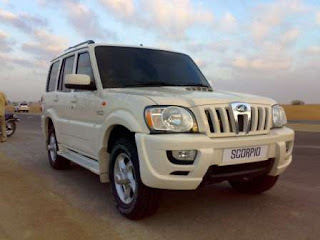 The Scorpio's running smoothly and the new-car smell hovers around your nostrils. You smile - everything's as it should be. In the distance, you see cars slowing down as the traffic signal turns from amber to red. You shed speed accordingly, downshifting until you come to a gentle halt, and you put the Scorpio into neural. Just over two seconds later, the engine cuts out automatically. 'whoal what's going on?! you wonder. Panic floods you, with visions of breakdown vans and irate motorists standing on their horns behind you. The it hits - you're driving the Scorpio Micro Hybrid. Relieved, and feeling sheepish at having forgotten you wait for the light to turn green, depress the clutch pedal and continue on your merry way. If you're wondering what that was all about, It's quite simple. 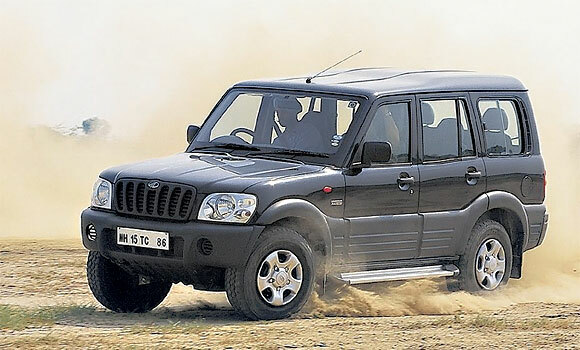 In this, the latest iteration of their best-selling Scorpio, Mahindra have incorporated what they call a 'Fuelsmart system with Micro Hybrid technology'. Before you ask, the answer is no,there's no electric motor whirring away as a sidekick to the IC engine and yes, the name is therefore a bit misleading, perhaps even gimmicky. What is it, then? I essence, it's lke a rather simple cut-off switch. 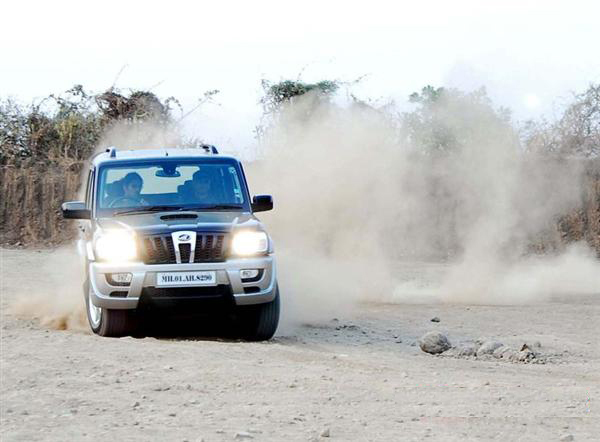 The technology, developed by M&M and Bosch, enables the vehicle to detech movement while you're driving. When you've slowed down to a complete halt, and after you've engaged neutral, the system kicks in and cuts off the engine after 2 seconds. When you're good to go again, all you do is depress the clutch pedal and the engine starts up. The benefits of this feature are obvious, on the face of it. Te less time your engine spends running, the less fuel it consumes - that isn't exactly rocket science, is it? Additionally, when the engine's not running, it's not spewing noxious gases into the atmosphere - another plus. How does it work in the real world, though? The answer is 'well but not without drawbacks'. When you're waiting at a traffic light , it's all right to have the engine cut out for a couple of minutes and then re-start itself when you depress the clutch.